Whether it's at school, the hospital, or even at work, cafeteria dining is never really enjoyable. And it's not just the food, eating off a tray with a raised lip around the perimeter is awkward at best. 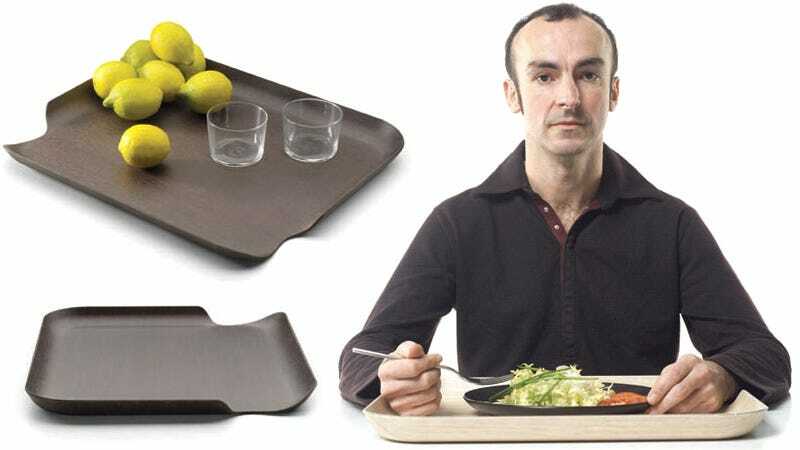 So why has it taken until now to come up with a solution as elegant as Zoocreative's Delica trays that feature a groove on either side where diners can comfortably rest their arms during a meal? Admittedly, the tray won't contain spills as easily as the traditional design, but it still allows you to easily carry multiple plates and glasses from the checkout to your table. We'd be tempted to encourage every fast food restaurant on the planet to adopt these, were it not for the Delica tray's ridiculous $79 price tag. Time to break out the scroll saw.